Coming into the season, the question was not “will the Yankees get a starter at the deadline?” The question was “which starter will they get?” It was a damn near certainly the Yankees would get another starting pitcher, especially after Jordan Montgomery went down with Tommy John surgery and Sonny Gray stayed healthy but went full Javy Vazquez. The need for another starter was clear. A no-doubt ace never hit the market. Jacob deGrom was never really available and calling Chris Archer an ace at this point is a bit of a stretch. That was a bummer for the Yankees, who had the prospect capital to get pretty much any player they wanted. They could’ve made the best offer for deGrom. I’m not sure the Mets would’ve traded him to the Yankees, but the Yankees had the pieces to get it done. 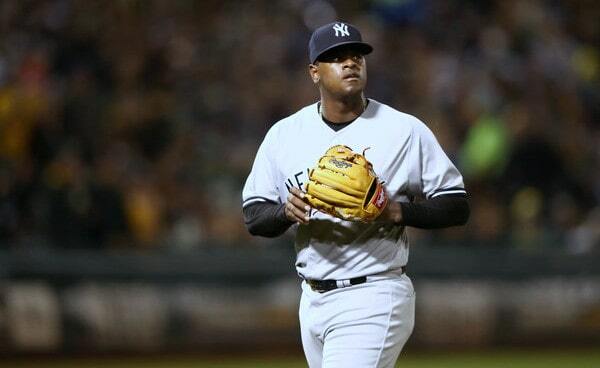 So, with no clear cut ace on the market, the Yankees went for the next best thing: Reliability. That led them to left-hander J.A. Happ, who, funnily enough, really struggled before the trade. Remember when he allowed 26 runs in his final five starts and 31.1 innings with the Blue Jays? People freaked out and said he wouldn’t be a good pickup. Then the Yankees traded for him, and there was more freakout. 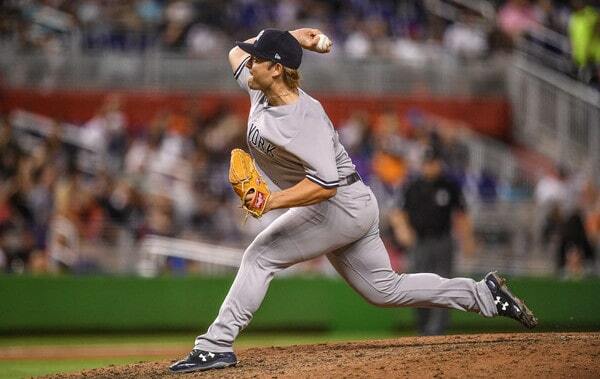 Last night Happ made his eighth start as a Yankee, and, for the fifth time in those eight starts, he threw at least six innings and allowed no more than two runs. It was the sixth time he allowed no more than two runs period. 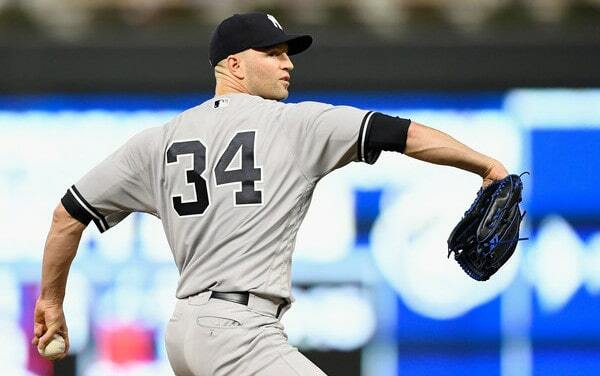 Happ tossed six scoreless innings against the Twins last night and it could’ve been seven innings, but, once the Yankees broke the game open, there was no sense in wasting bullets. Happ has had one disaster start with the Yankees — the Tigers tagged him for five runs and three homers in 4.1 innings in August 30th — but has otherwise been exactly what the team needed. He’s been effective, he chews up innings, and he doesn’t seem to be rattled by anything. Happ seems very low maintenance. 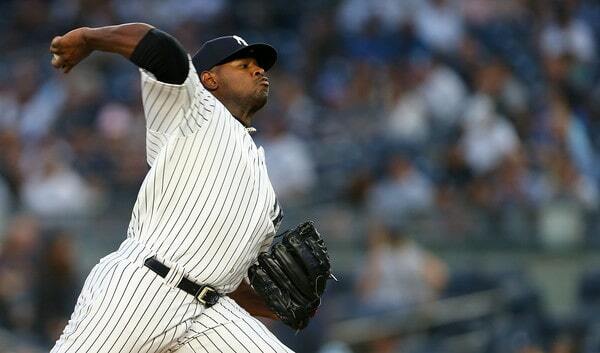 The Yankees plugged him right into the rotation and away he went. In his eight starts with New York, Happ owns a 2.70 ERA (4.45 FIP) — the homers in that start against Detroit did a number on his FIP — with 22.9% strikeouts and 4.8% walks. He’s not getting ground balls (36.2%), though ground balls were never his thing anyway. He’s more of a weak contact guy, and, this year, Happ has the 12th highest soft contact rate (20.6%) and 18th lowest hard contact rate (31.9%) in baseball. That’ll play. 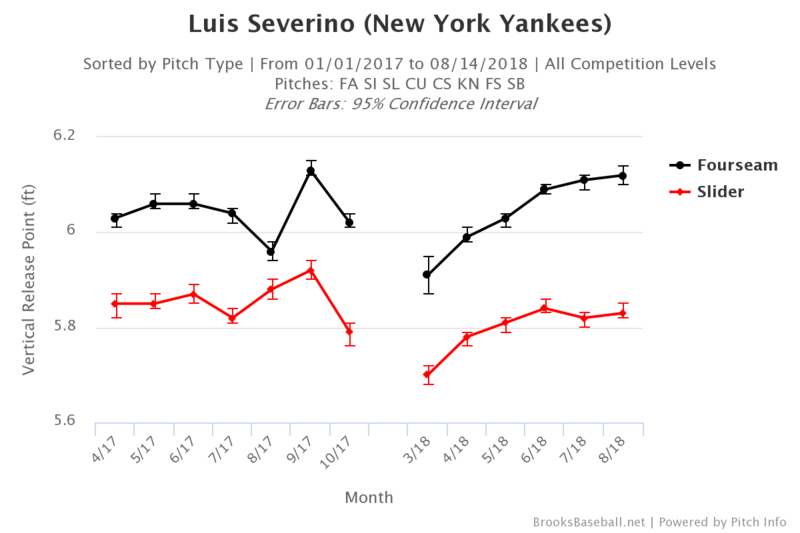 The Yankees acquired two of the top three starters in fastball usage at the deadline despite being the most extreme anti-fastball team in baseball. Coincidence? Yeah, I think so, actually. I think acquiring Lynn and Happ had more to do with who was available at the trade deadline than it was a certain pitching philosophy. Either way, the Yankees added Happ, he’s stuck with throwing a ton of fastballs, and he’s been very good for them overall. 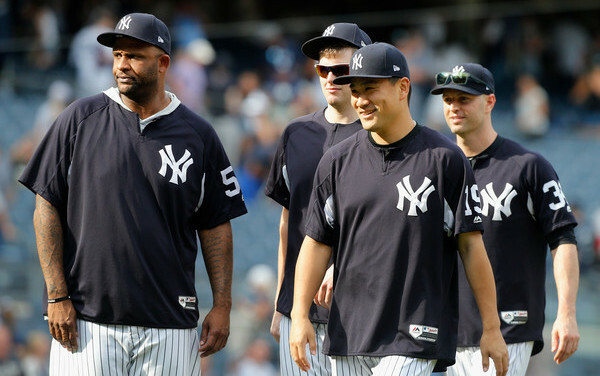 At some point soon the Yankees will have to pick a starter for the Wild Card Game and, to me, it seems like it’s down to Happ or Masahiro Tanaka. 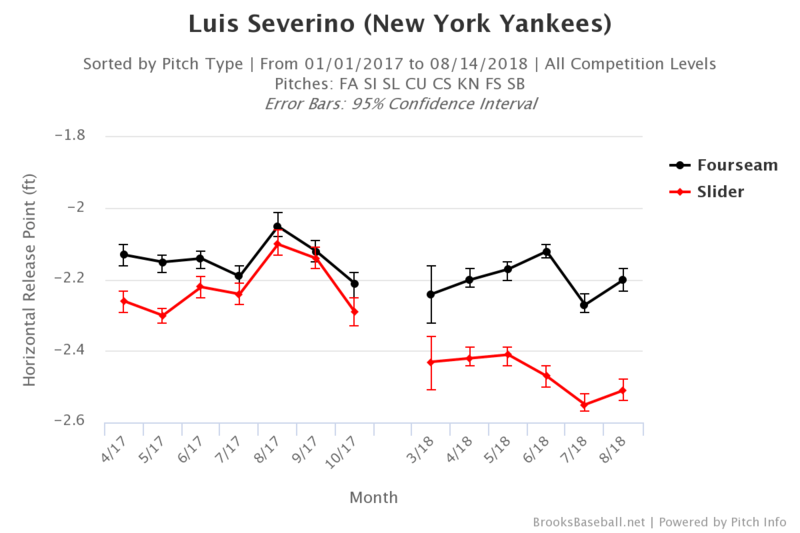 Luis Severino hasn’t pitched well for two months now, and while I think the Yankees would be cool with running CC Sabathia out there in a winner-take-all game (they did it twice last postseason), Happ and Tanaka feel like the best options. I’m not sure there’s a wrong answer here. Either works. For now, the Yankees desperately needed someone to step in and provide rotation stability, and Happ has done that. Gray stunk, Montgomery got hurt, and Domingo German showed flashes of brilliance but was largely ineffective. They went out and got Happ, even after his rough final five starts with the Blue Jays, and he’s given the team a real shot in the arm in the second half. He’s been everything they could’ve possibly hoped. Starting tomorrow the 30 MLB teams will be allowed to expand their active roster from 25 players to as many as 40 players. No more worrying about running out of relievers or using an emergency catcher or anything like that. Reinforcements are on the way. The Yankees have called up lots of players on September 1st in recent years and I have no reason to think this year will be any different. 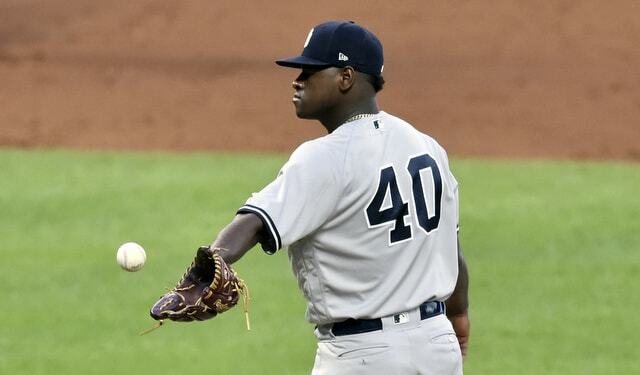 Expanded rosters create flexibility and a chance for creativity, and, with the Yankees, the talk always seems to center around a six-man rotation. They’ve made it clear they value giving their starters extra rest whenever possible. A six-man rotation is tough to do from April through August — a six-man rotation means a seven-man bullpen and a three-man bench, or an eight-man bullpen or a two-man bench — but September? Piece of cake. Don’t get too caught up in the 1-5 order. Those guys are the top five starters. The order doesn’t really matter. Gray is the obvious sixth man, Cessa has been the primary spot starter, then German and Loaisiga fall into place at the end there. 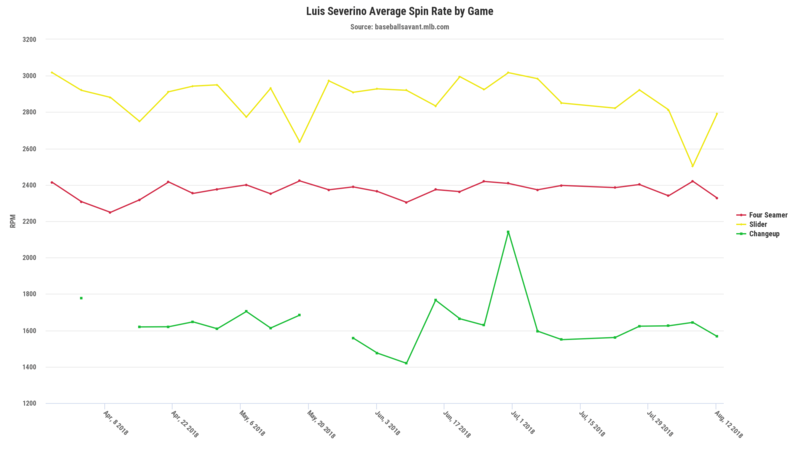 Aside from Cessa, who’s been up-and-down all year, the other three guys all held down a rotation spot at some point earlier season. Gray pitched very well last weekend, but it was against the Orioles, and they stink. Maybe he truly has turned a corner. I’m not falling for it again though. He’s going to have to do it again (and again and again) for me to buy in. The Yankees could go with Sonny as a sixth starter in September though. It is an option. If not him, German and Loaisiga could be options, ditto Cessa. That’s a pretty good crop of sixth starter candidates, I’d say. There’s no pattern there. It’s almost like weird and different things can happen in relatively small sample sizes. 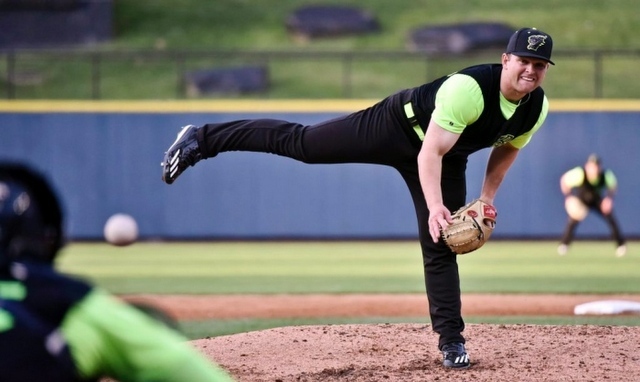 Extra rest improves performance on a league average level — the league average is a 4.41 ERA on normal rest and a 4.25 ERA with extra rest — but, individually, who knows? Every pitcher is different. 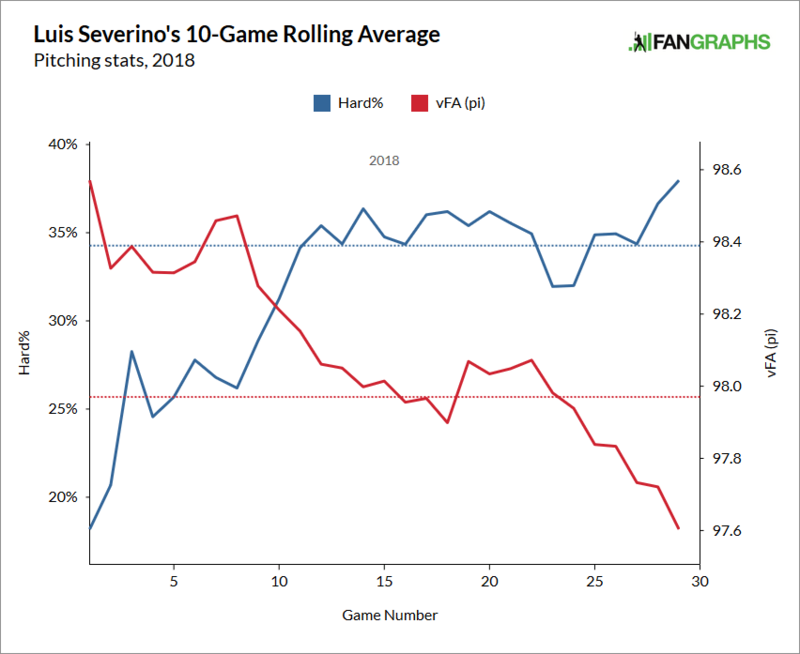 Some guys benefit (Lynn, Sabathia), some guys don’t (Gray, Happ, Tanaka), and for some guys it doesn’t mater at all (Severino). Going to a six-man rotation and expecting better performance is kind of a fool’s errand. The extra rest does equal less wear and tear though, that is undeniable — throw fewer pitches and there’s less fatigue — it’s just a question of whether the extra rest now equals improved performance down the road, specifically in the postseason. Every player is beat up and running on fumes in September. Anything to give your horses a little breather seems worthwhile. The upside here is more rest for the regular starters late in the season. The downside is more starts for your sixth starter and fewer starts for your top starters, which could hurt the team overall. Then again, we’re only talking about three or four starters here, so it might not be a huge deal. My guess is the Yankees will stick with a five-man rotation for at least a few weeks. They haven’t clinched anything yet and it’s too soon to go into cruise control. In mid-to-late September though, once the postseason races really start to firm up, the Yankees could go to a six-man rotation for a turn or two, just for that little extra rest before October. 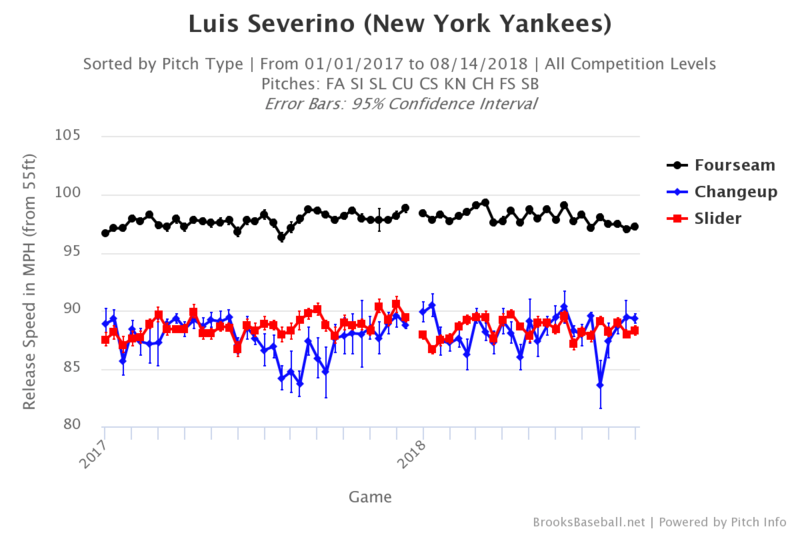 The Yankees have used spot sixth starters and manipulated off-days to give their starters extra rest enough times these last few years to tell us they value that extra rest. With expanded rosters coming tomorrow, giving the starters that extra rest is about to get much easier.